Your direct booking strategy: Targeting hotel guests of the future. 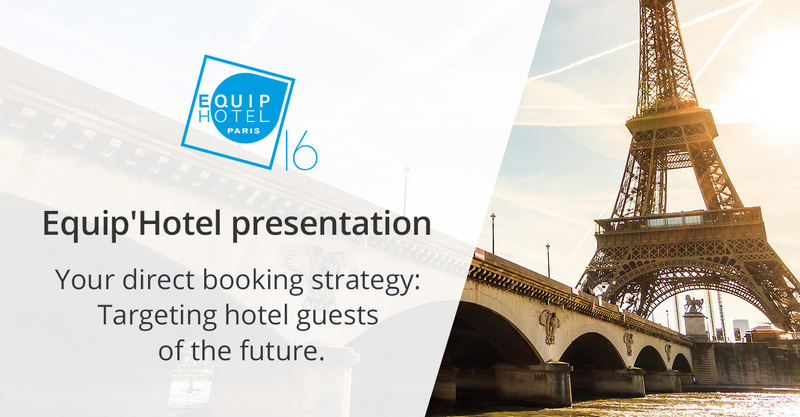 This is your exclusive invitation to join us for our on stand presentation at Equip’Hotel on either 7th or 8th November (or both!). Did you know that today’s digital-savvy consumer is subjected to 3,000 marketing messages a day! That’s a staggering statistic proving just how difficult it is for businesses to cut through the noise in order to be heard. For hoteliers, it can be even harder to know how to reach the right people – and that’s assuming they have their target audiences fully marked out. The 6 groups of travellers that will be your future hotel guests. Strategies to entice these travellers to book direct. Places are limited so register now to ensure your seat! Please enter your date preference in the comments box when registering.